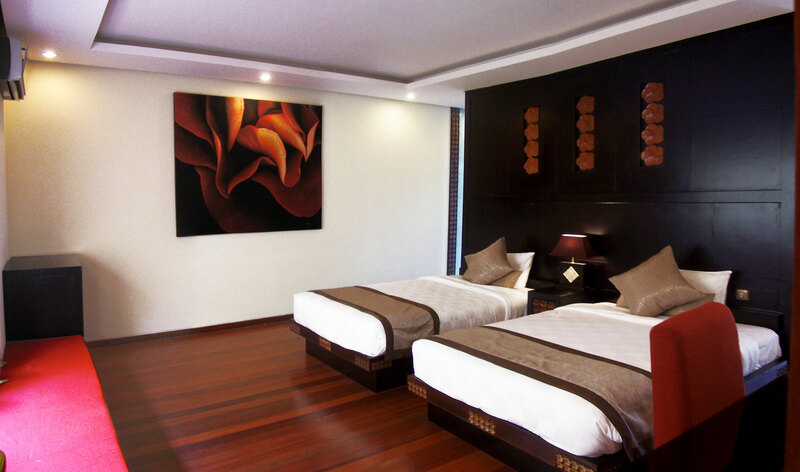 Use the form below to contact accommodation The Aberu Villas Bali directly. 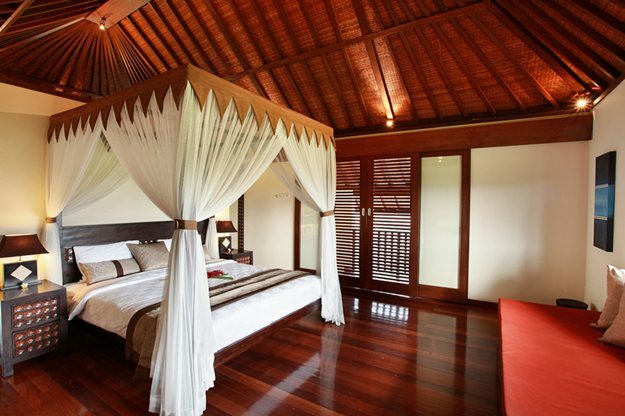 The Aberu Villas (before Arradea Villas), as the name suggests, is nothing short of your idyll tranquil island escape. 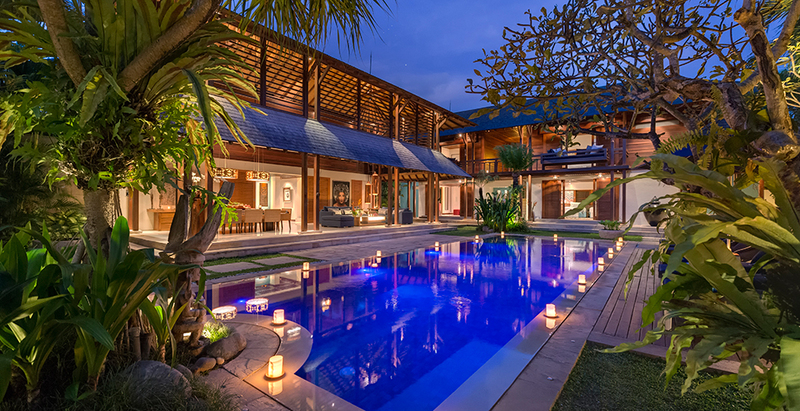 Tucked away in the whimsical rice paddies of Bali’s relaxed Canggu area but just a 400m stroll to Berawa Beach, The Arradea Villas is a harmonious cluster of just 12 modern, two-bedroom villas. Each villa offers a shaded daybed hovering just above a stunning turquoise pool that is accessed from the open living and dining areas as well as the master en-suite bedroom. 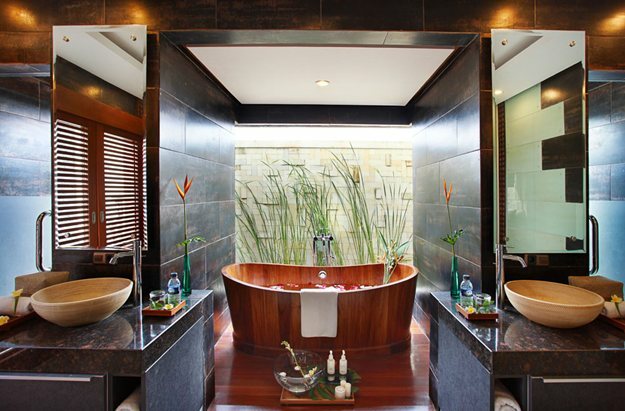 You will also love the bedroom’s wonderfully indulgent enormous wooden bath, set up in the privacy of a separate shower room with exterior views. The Aberu Villas has been decorated in a modern style with traditional Balinese influences, as you enter the property you will see a deck equipped with sun loungers, for those who are in Bali to catch a golden tan, a shaded queen size day bed which is protected by a thatched roof and a 7m x 3m turquoise private pool which is 1.5m deep. Exploring the Canggu area, you will have a unique opportunity to see the daily rhythms of Balinese life. 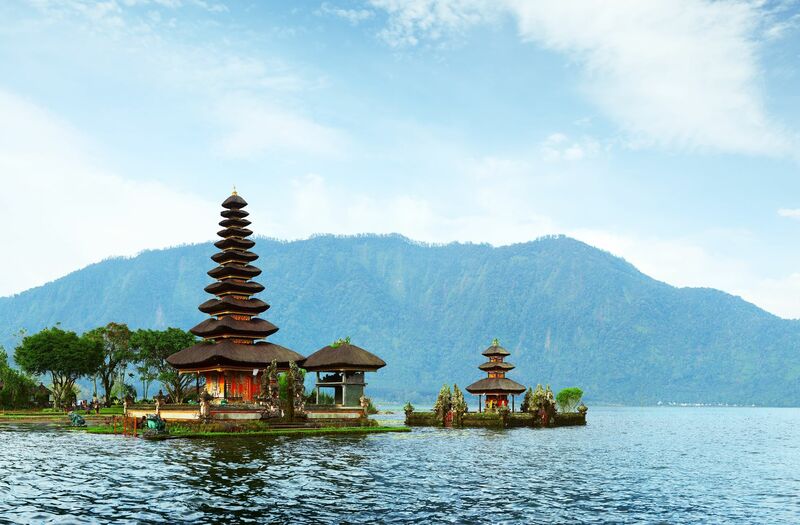 Our team can guide you on how best to experience the wonderful culture and landscape of Bali . 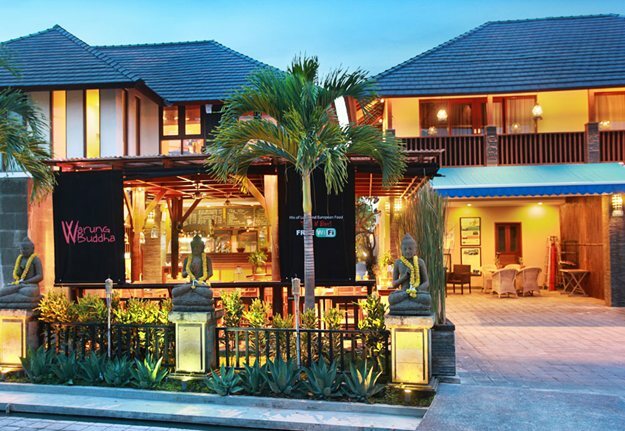 A short walk away is the exclusive and popular five-star facility Canggu Club that we have partnered with to bring you free access to their numerous restaurants, bars, gym and fitness rooms, kids club, coffee shop, lounge, library, tennis courts, swimming pool and indoor sports hall. 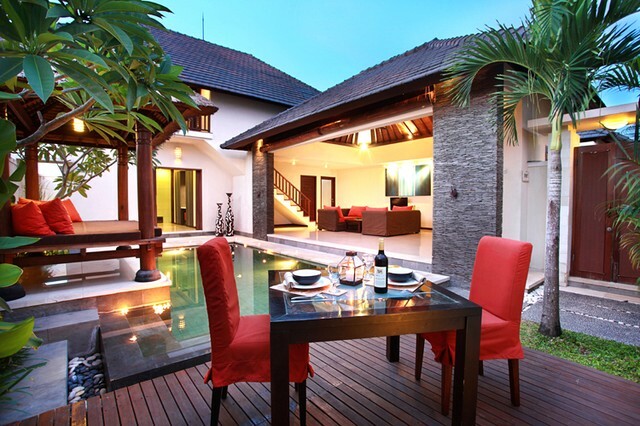 The Aberu Villas is an exceptional villa resort nestled within the tranquil and stylish area of Canggu. It is the perfect location for the holiday maker who is looking for a peaceful retreat within walking distance of the popular Berawa Beach and comfortable driving distance of the fine restaurants, clubs and bars Seminyak and Kuta have to offer. The Arradea Villas consists of 12 villas, each with 2 bedrooms making 24 bedrooms in total, offering guests a combination of double and twin rooms. 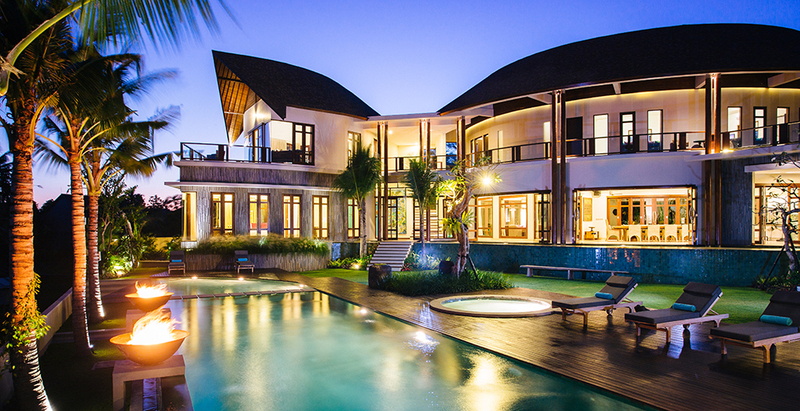 Each villa has its own private swimming pool and all of the villas are identical. 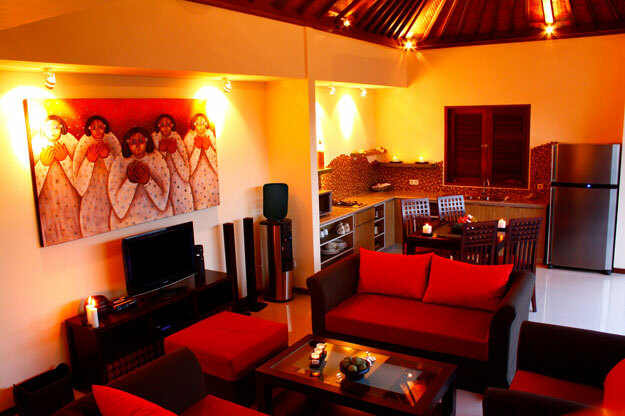 The Villas are 2 bedroom private properties wich can also be rented as a one bedroom villa. The Arradea Villas are a hideaway that ticks all the boxes for the perfect tropical island escape. 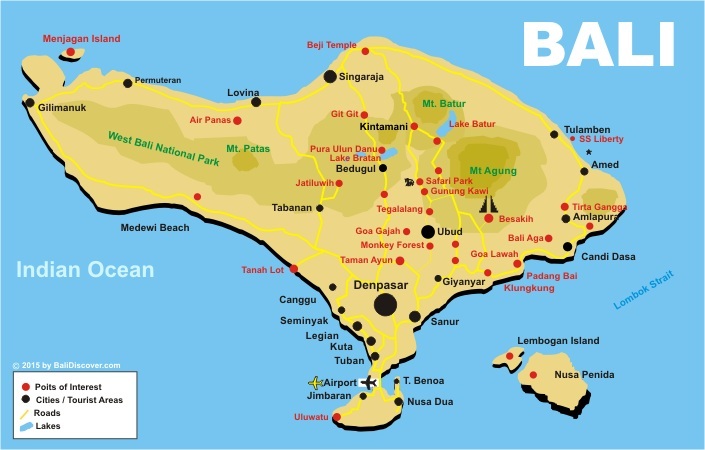 But only a 10-minute walk from Berawa Beach in the tranquil Canggu area. Villas feature: private outdoor swimming pools, air conditioning bedrooms, kitchen, dining area, flat-screen TV and free Wi-Fi. Free parking is available. The first room you will enter is a spacious open plan kitchen, living and dining area; the kitchen is fully equipped with microwave, stove and fridge freezer. This open plan space also offers you a dining room, a living room area with flat screen TV, DVD player, surround sound, table, TV stand with storage space, two small sofas and a stool. On the first floor you will find the master bedroom, with mahogany flooring this bedroom oozes luxury, which is equipped with double bed, two nightstands, desk and sitting area. Experience the master en-suite where you will find the large solid wooden bathtub, also a shower room and a private toilet space offering you an extra privacy. Facing the en suite is a beautiful built-in wardrobe and make up station. This open plan space also offers you a dining room table with four chairs, a living room area with flat screen TV, international satellite TV, DVD player, surround sound, table, TV stand with storage space, two small sofas and a stool. Once you have ascended the solid mahogany staircase you will be greeted by a marvellous view of the Indian Ocean and surrounding rice fields. You will find that the second bedroom is identical to the master, the only differences being there is no bathtub and however provided with private shower room however the stunning ocean view makes up for that. The first room you will enter is a spacious open plan kitchen, living and dining area; the kitchen is fully equipped with microwave, stove and fridge freezer, groceries can be purchased from the nearby Canggu Deli if you wish to do so. Flat screen TV with Int’l satellite channels, surround sound & DVD & CD player. 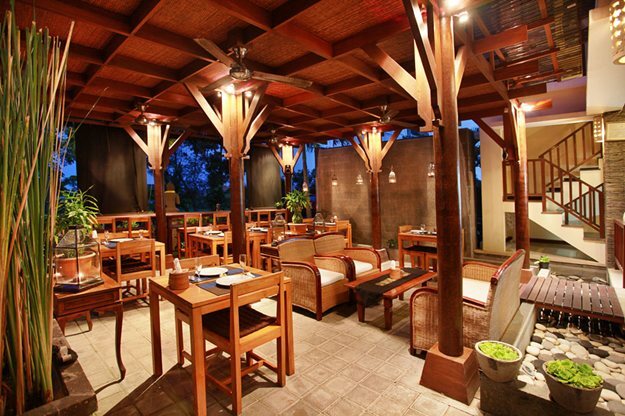 On site warung serving Balinese delicacies and Western dishes for guest’s convenience. Capacity: 4 people / 2 bedrooms). Staff: Villa manager; villa attendants; room maid, security guards. Masseuse and babysitter on request. Exclusive use of the whole villa and listed services and facilities, staff, housekeeping, gardeners and security, complimentary Canggu Club membership, swimming pool and unlimited WIFI. •All publish rates are subject to 15% service charge. •All rates are not includes gratuities, telephone, meals, cars and drivers. The prices are per villa per night in USD. Late check out is on request. 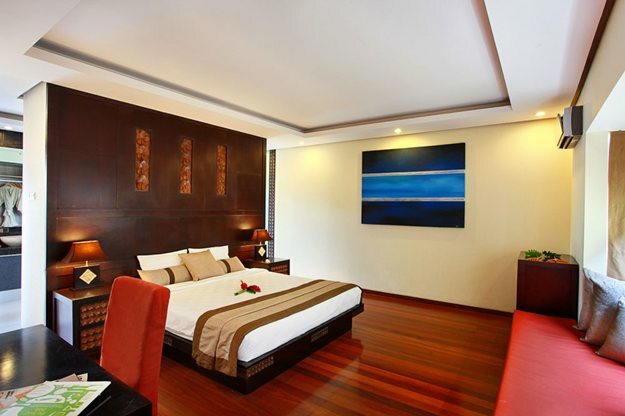 Last minute bookings (10 days before checkin) enjoy up to 15% discount. Booking terms are to be advise. Free Balines Massage (60 Minutes) in G-Spa Sanur ! Inclusive transfer !